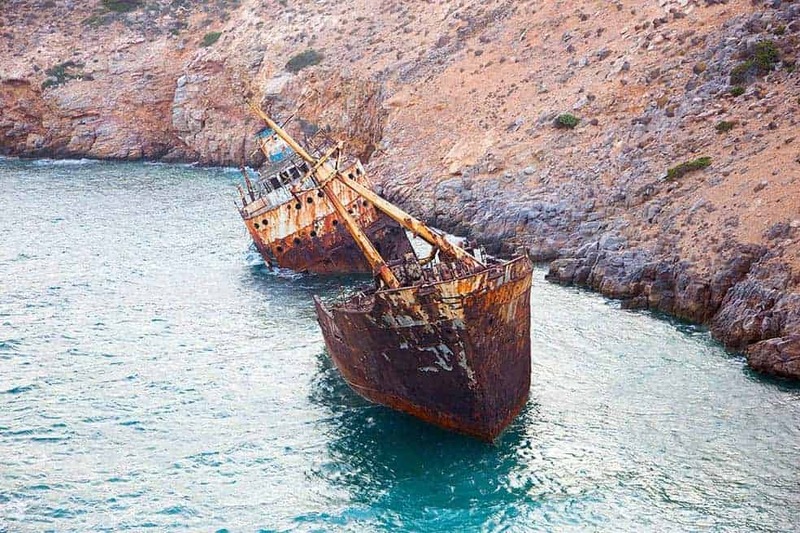 Located in the small bay of Liveros, Olympia Shipwreck was driven ashore back in 1979, coming from Cyprus, without any human loss.  A tug boat, the Matsas Star, tried unsuccessfully to pull the Olympia out of the bay and since then this ship wreck remains a part of the island’s history. 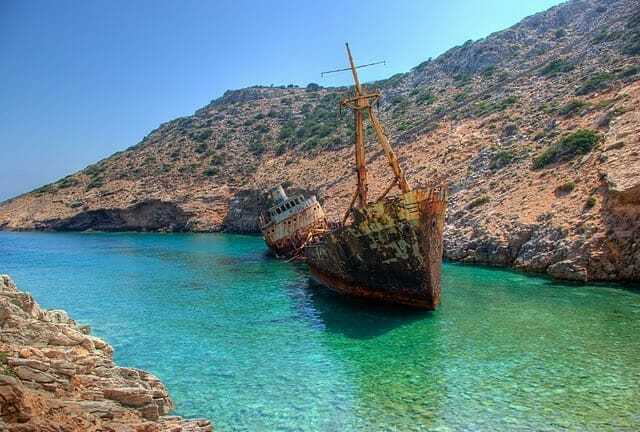 Scenes of “Olympia” wreck, along with scenes of Agia Anna beach, were used in the famous film “The Big Blue” by Luc Besson, which made Amorgos famous worldwide.